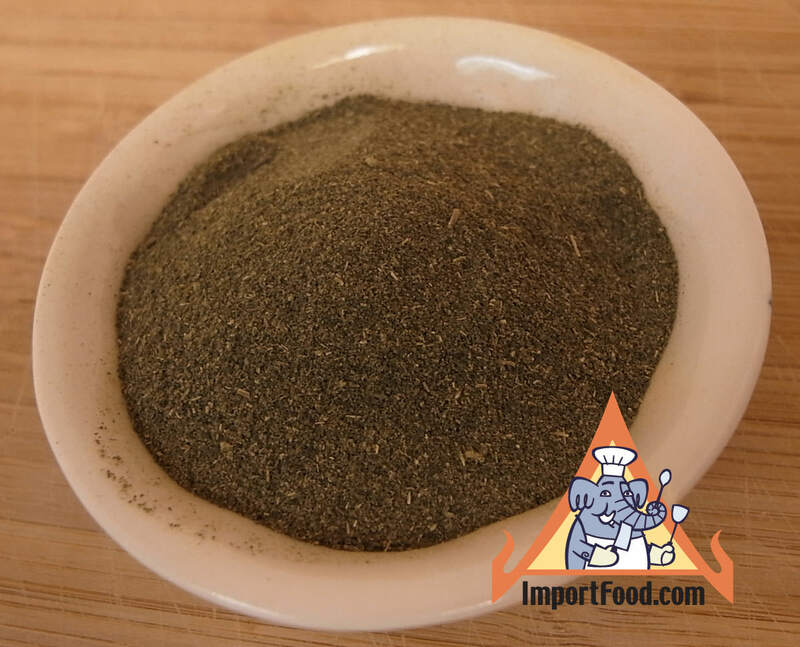 Use this aromatic dried holy basil leaf, which is ground to a fairly fine powder, to add unique flavor to a wide variety of dishes. It has a wonderful aroma and slightly peppery flavor. Excellent quality basil, grown and packed in Thailand by premier brand Nugan Soon. Comes in attractive glass spice jar. Ingredients: dried holy basil leaf. Product of Thailand. We also offer fresh Thai basil and we offer whole dried basil.